Apple has run through its initial online shipment of the new model of iPad worldwide. The shipment dates on Apple’s site have now slipped to March 19th from March 16th in the US. We first reported that iPad shipping dates for the 4G iPads had begun slipping, then that the UK shipment dates had all been pushed back to the 19th, now the US has followed suit and the UK shipments are now ‘2-3 weeks’. This indicates that Apple’s first complete online batch of new iPads has sold out in the US and UK, with the next round arriving a week later. Since Apple normally dedicates a (large) allotment of iPads for sale in its physical stores as well as a lesser amount for retail partners like Best Buy and Radio Shack, this doesn’t mean it has sold ‘every’ iPad it made for the launch day, but it does show that the units allotted to its online store went quickly. This all points to massive demand for the new iPad, which features a Retina display, 4G connectivity, increased processing and graphics capabilities and more. The new iPad is priced at $499 for 16GB, $599 for 32GB, $699 for 64GB. 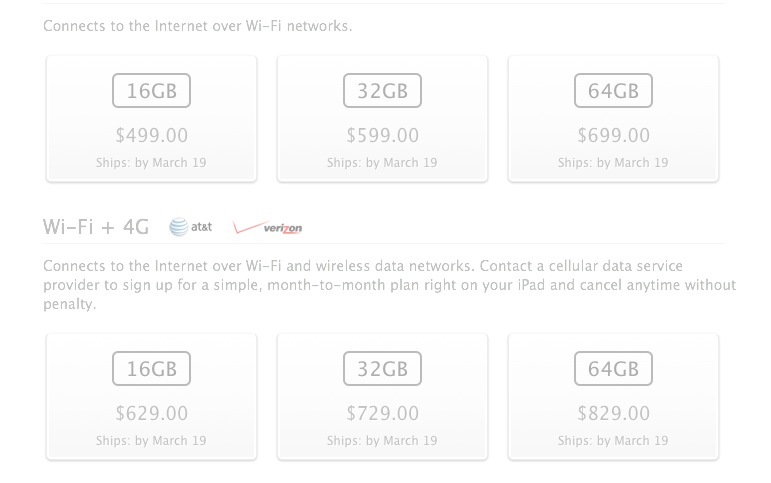 And $629, $729, and $829 for 4G. It will be available on March 16th in the US and is available for pre-order now. It will be available from March 23 for 32 other countries. 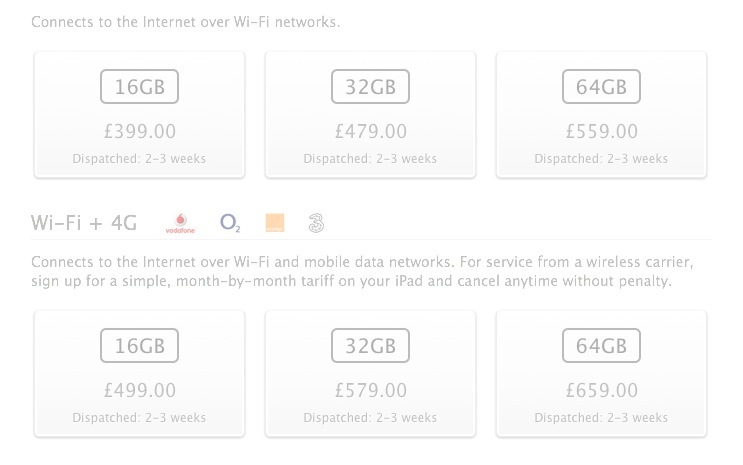 The iPad 2 will continue to be sold for $399 in a 16GB flavor and $529 for a WiFi + 3G 16GB model. 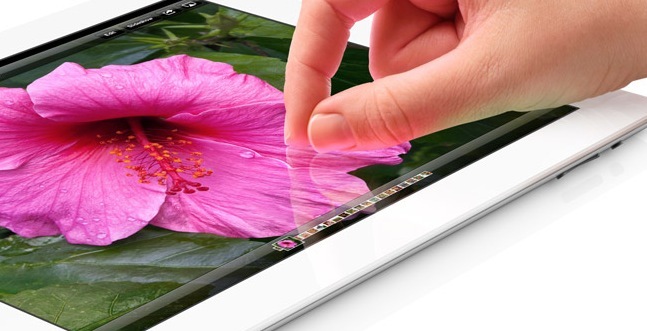 You can read all about the new iPad in our roundup of Apple’s announcements this week.